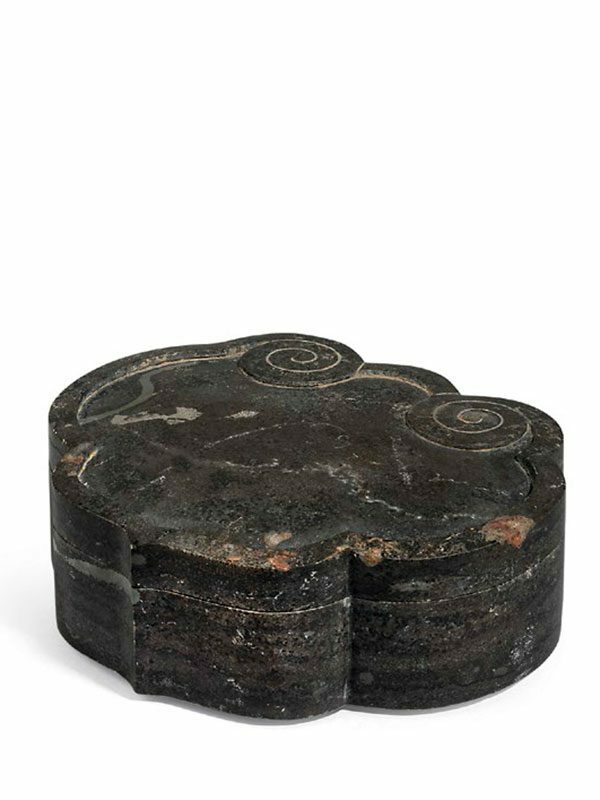 A substantial stone box of ruyi head form with straight sides, supported on a short straight foot. 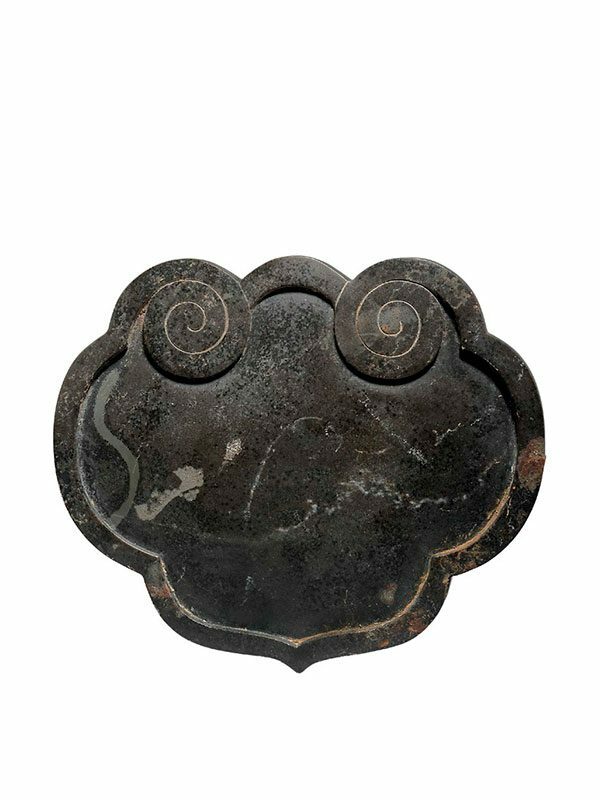 The slightly domed cover is carved with a beaded rim in relief, topped with two ruyi head scrolls. The stone is of dark grey colour. Some areas have russet material attached along the rim, perhaps acquired from other metalwares, which were buried together with this piece.